I am the Messianic Rabbi of Restoration: A Messianic Synagogue in Seattle, Washington. My name means "Gods gift of happiness." So, here are some thoughts from the The Happy Rabbi! 1 Now there was a certain man of Ramathaim-zophim, of the hill country of Ephraim—his name was Elkanah son of Jeroham son of Elihu son of Tohu son of Zuph, an Ephraimite. 2 He had two wives: the name of the one was Hannah and the name of the other Peninnah. Peninnah had children, but Hannah was childless. 5 but to Hannah he would give only one portion—even though he loved Hannah—for Adonai had closed her womb. 6 Her rival would taunt her bitterly to provoke her, because Adonai had closed her womb. 7 So it was year after year, whenever she went up to the House of Adonai, that she would provoke her; so she wept and would not eat. 9 After eating and drinking in Shiloh, Hannah got up. Now Eli the kohen was sitting on his seat by the doorpost of the Temple of Adonai. 10 While her soul was bitter, she prayed to Adonai and wept. 12 It came to pass, as she prayed long before Adonai, that Eli was watching her mouth. 13 Now Hannah was praying in her heart—only her lips were moving, but her voice could not be heard. So Eli thought she was drunk. 15 But in response Hannah said, “No, my lord, I am a woman with an oppressed spirit! I haven’t been drinking wine or beer. Instead I’ve been pouring out my soul before Adonai. 18 “May your maidservant find favor in your eyes,” she said. So the woman went her way; she ate, and her countenance was no longer dejected. 19 They rose up early in the morning and worshipped before Adonai, then went back to their home to Ramah. Then Elkanah was intimate with his wife Hannah, and Adonai remembered her. 23 So her husband Elkanah said to her, “Do what seems best to you. Stay until you have weaned him—only may Adonai establish His word.” So the woman stayed home and nursed her son until she weaned him. 24 When she had weaned him, she took him up with her, along with three bulls, one ephah of flour and a jar of wine, and brought him to the House of Adonai in Shiloh, while the child was still young. 25 After they slaughtered the bull, they brought the boy to Eli. 26 “It’s me, my lord!” she said. “As your soul lives, my lord, I am the woman that stood by you here, praying to Adonai. 27 For this boy I prayed, and Adonai has granted me my petition that I asked of Him. 28 So I in turn dedicate him to Adonai—as long as he lives he is dedicated to Adonai.” Then he bowed in worship there before Adonai. If we can learn anything from this passage, it's that prayer works. What's on display here isn't just a normal run-of-the-mill "thanks for the stuff You give me and by the way there's more stuff I need so if You could just make that happen, that would be great... Thanks and see You next time!" Hannah’s prayer shows us that she was desperate to see God act in her life. She knew that only He could end her humiliation and replace it with the true joy she longed for. Hannah knew that God was just and believed that surrendering her heart and soul to Him was her only hope. 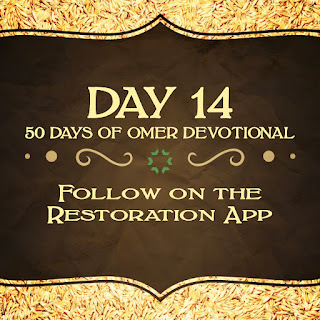 On top of her personal circumstances, it is important to note that she was living in a time when Israel had essentially abandoned the tabernacle. Her culture had made God an afterthought! Instead of succumbing to the opinion of her culture, the insults of her adversaries, and her own barren circumstances, she pressed forward in seeking out the only One who could actually fulfill the desires of her heart. We must take into consideration how she asked; her prayer was one of intensity, one that was made with all of her heart. To top it all off, not only did Hannah ask God for His blessing, but she actually vowed to give that blessing back to the Lord! During these days of fasting and prayer, let us purpose to seek Him with this kind of intense, focused, and selfless prayer with the understanding that God will hear and act on our behalf. selflessness and focused intensity disciplines we pursue in our prayer lives. In Yeshua's name, amen. At Restoration, we have made it a priority to seek God first in prayer. 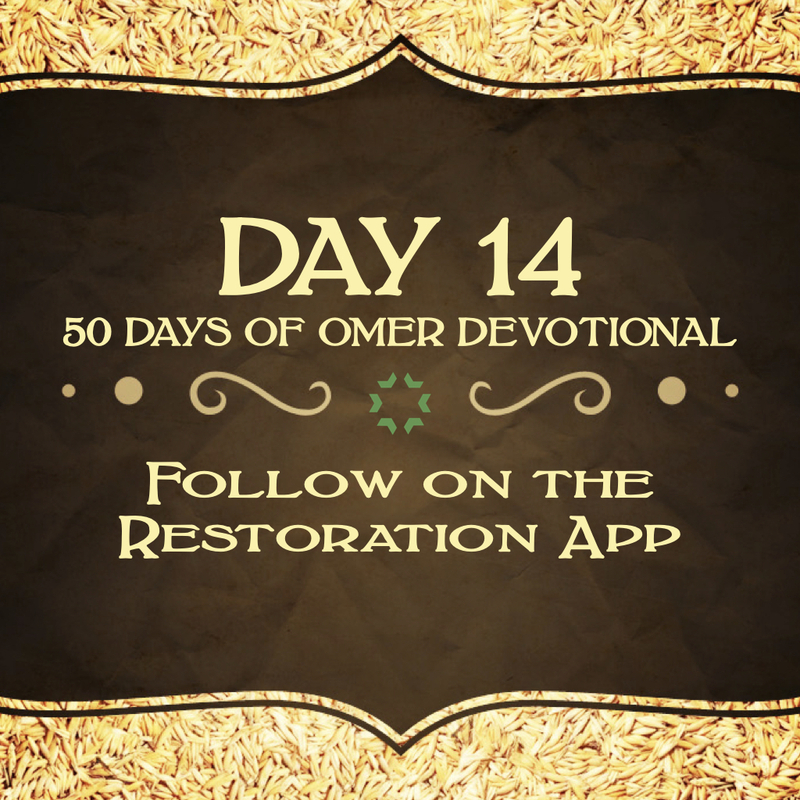 During this season of counting of the Omer, we have decided to do this collectively as a congregation in the days leading up to Shavuot. Together, we want to trust in His power to impact our lives, our congregation, our city, and our world. The last 10 days we will encourage a corporate time of fasting and prayer, which starts the evening of May 9 and ends the evening of May 19. The conclusion of this season of prayer will culminate in a congregational picnic on the 50th day, the day of Shavuot - Sunday, May 20 at noon.